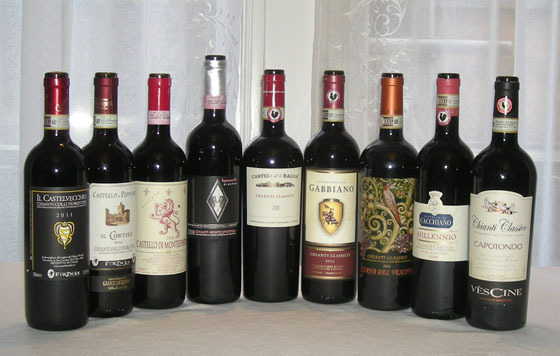 The Fifty Best held a “blind” tasting of recent release Chianti & Chianti Classico wines with 12 pre-qualified wine judges. Strict tasting rules were applied. The order of service was established beforehand by lottery. Each of the wines were poured into fresh glasses from new sealed bottles and served at room temperature. Only ice water and fresh peasant bread were available to cleanse the palate. The judges wrote down their impressions of each wine on score sheets. The scoring was done on a 5-point system, with 5 as the best. Double-Gold and Gold medals are awarded according to a set range of final point scores received from the judges. There were no silver or bronze medals awarded for this tasting. This wine is made from a blend of Sangiovese (85%) and Merlot (15%) grapes grown in a vineyard that is over 1000 feet above sea level. Following fermentation in concrete tanks the wine is aged for 18 months in French oak before bottling. Aroma: Black cherries, deep cherry, bright cherry, blueberry, black fruit, plum, violet, mushrooms, thyme, peppery, tobacco, dusty earth, complex, slightly smoky, alluring. Palate: Ripe black cherries, sour cherry, ripe plum, black fruit, raspberry, ripe berries, juicy, dried fruit, hint of cinnamon, clove, wood, voluptuous mouthfeel, smooth, high acid. Finish: Dark cherry, berries, chocolately, vanilla, ripe, smooth, complex, structured, elegant. 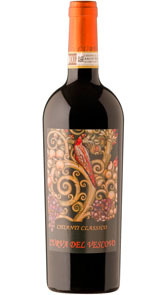 Chianti Classico Gran Selezione DOCG 2009 "Millennio"
Made from 100% Sangiovese grapes, this wine undergoes slow temperature-controlled fermentation and aging for 3-4 years in a combination of small French oak casks, barriques and tonneaux before bottling. Aroma: Cherry compote, ripe berries, black briar fruit character, ripe plum, peaches, garden-like, touch of fennel, peppery, spice, earthy, wood, oak. Palate: Dark cherry compote, sour cherry, black cherry, raspberry, pretty dark berry character, currants, dark plum, melon, herbs, nutmeg, peppery notes, earthy, wood, oak, light smoke, structured tannins, good acidity. Finish: Strawberry, wood, smoky, clean, smooth, well balanced, complex, concentrated, powerful, lovely. To make this wine hand-harvested grapes (90% Sangiovese, 5% Merlot and 5% Colorino) from a limestone-soil vineyard over 1000 feet above sea level are fermented in small stainless steel tanks and then aged in barriques and barrels, prior to 6-months of bottle aging before release. Aroma: Cherry, red cherry, blackberry, red plum, orange peel, tobacco, mineral, earthy, old wood, oak, bright, very integrated, mouthwatering. Palate: Plums, red fruit, tart cherry, apricot, white flowering pear, melon, citrus, vanilla, light butter, oak notes, good minerality, dry, well balanced. Finish: Berries, tart, pepper, smoky, high acid, complex, very elegant. 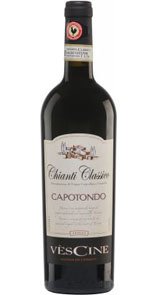 Made from a blend of Sangiovese and Canaiolo varietals, that following fermentation are aged first in steel tanks for 6 months and then in barrels before bottling. Aroma: Cherry compote, sour cherry elements, ripe blueberries, strawberry, plum, peaches, sweet spice, cinnamon, alluring chocolate, oak, herbaceous, smoke, attractive. Palate: Ripe cherry compote, sour cherry, red fruit character, red berries, raspberry, plum, peach, cinnamon, allspice, mineral, smoke, oak, balanced fruit, well integrated, voluptuous mouthfeel, elegant. Finish: Bright cherry, sour cherry, raspberry, red fruit, ripe vintage, slight chocolate, mineral note, lower acid. 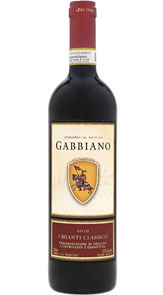 Fashioned from a blend of Sangiovese (80%), Merlot and Cabernet Sauvignon (10%), Canaiolo (5%) and Colorino (5%) varietals that underwent fermentation in temperature-controlled stainless steel tanks, this wine was aged in vats and oak casks for 4-6 months prior to bottling. Aroma: Red cherries, bright cherry, black cherry, ripe blackberries, strawberries, briar fruit, bright fruit, black plum, raisin, tomatoes, slight mineral notes. Palate: Bright red cherries, strawberry, berries, lean dark fruit, ripe jammy fruit, ripe plum, some raisin, orange peel, nutmeg, clove, tobacco, cigar box, smoky, some wood, toasted oak. Finish: Soft cherry, briar fruit, blackberry, pepper, dusty tannin, very integrated, pleasant, elegant, good match with mild cheese. Made from a blend of Sangiovese (85%) and primarily Cabernet Franc and some Colorino grapes that are fermented in temperature-controlled stainless steel tanks, this wine was aged in a combination of stainless steel and large barrels for 12 months prior to bottling. Aroma: Dark fruit, sour cherry, red cherries, compote, prominent grape, rose petals, perfumed bouquet of flowers, tobacco, herbs, mineral, very earthy, smoke, oak. Palate: Dark fruit, black cherry, pomegranate, spice, earth, oak, well integrated flavors, integrated tannin & acidity, nice acidity, velvety mouthfeel, voluptuous. Finish: Cherry, dark fruit, smooth, very elegant. 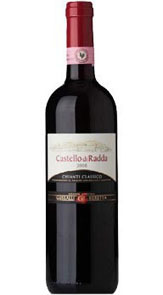 This wine is produced from primarily Sangiovese (90%) and the remainder consisting of other red varietals, with fermentation on the skins in temperature-controlled tanks and aging for 10-12 months in a combination of medium and large-capacity French oak casks. Aroma: Bright red cherries, black cherry, dark fruit, blackberries, berry fruit character, sweet spice, rose, violets, slight eucalyptus, vegetal, very fresh. Palate: Fresh red cherries, blackberry, boysenberry, stewed fruit, clove, spicy, oak, dusty, bright acidity, balanced, elegant. Finish: Toast, soft, nice tannin, refreshing. Produced from a blend consisting of primarily Sangiovese and a small amount of Cabernet Sauvignon grapes from vineyards at almost 1000 feet above sea-level, with soil featuring limestone. Following aging in small barriques (50%) and larger barrels (50%) for 12-14 months, the wine is bottle-aged for at least six months prior to release for sale. Aroma: Black cherry, dark cherries, black raspberry, blackberry, ripe berries, ripe black plums, dried cranberries, peaches, spice, slight underbrush, earth. Palate: Tart cherries, sour cherry, black briar fruit, black plum, jammy fruit, nice herbal note, tobacco, wood, strong tannin, high acid, mouthwatering. Finish: Cherry, sour cherry, black fruit, high acid, smooth. 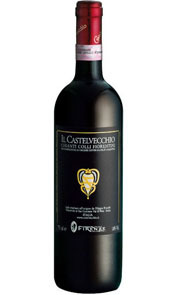 This wine is made from a blend of Sangiovese (90%) and Merlot (10%) grapes, with wood aging for 12 months prior to bottling. Aroma: Boysenberry, blackberry, mixed berry jam, faint wild berry, some dark cherries, spice, slight licorice, muted. Palate: Black cherries, deep cherry, briar fruit, ripe red plum, raisins, orange peel, clove, nutmeg, herbs, oregano, earth, dusty tannin, high acid. Finish: Soft cherry, herbal, pepper, mineral, tobacco, pleasant.